My cousin Cara Hetson in Paris has opened the doors to her vintage wardrobe once more. Galeries Lafayette Montparnasse presents a selection of her carefully curated vintage clothing and accessories for sale, 21 october – 01 november 2014. Her pop-up store is called The Perfect Eye, since that’s what she has: a perfect eye for treasures. A few years ago I wrote an article for Dutch ELLE about her ‘vintage radar’. It’s been translated to English. I included a pdf of the original article, here: Elle-CARA, with photos made by Inga Powilleit. Make sure to take a look. HER CLOSET FULL OF FINDINGS FROM THE FORTIES, FIFTIES AND SIXTIES IS A REAL TREASURE GROVE. CARA HETSON KNOWS STYLE AND HAS A SIXTH SENSE FOR VINTAGE. COUSIN MEREL BEM VISITED HER IN MONTMARTRE, PARIS. It is already ten years ago that Cara tracked me down in an Amsterdam telephone book. Before that time I did not know anything about an American cousin, let alone an American cousin who lived in Paris. And little did I know about her wardrobe closet, that great self-built thing in her bedroom, in which, behind a pair of simple white curtains, so many unsuspected treasures are kept hidden. Cara and I both come from a Jewish tailor’s family, which was living in Poland at the end of the nineteenth century. Her grandfather was my great-grandmother’s youngest brother. That means I am one generation ahead of her. Whether ‘cousin’ is the right appellation for our relationship, I actually do not know. It does not really matter. From the day we met, Cara has been calling me ‘ma cousine’ in her most elegant French, and that sounds just right. Cara’s grandfather, Joe, left Poland at an early age and, after a detour, ended up in New York, where he spend the rest of his life making and designing clothes. His wife, Rose, and their three daughters, Claire, Shirlee and Lucy, were always dressed immaculately. Shirlee, who on photos of those days radiates a remarkable beauty, got four children, of whom Cara is the third. Cara’s older sister, Sue, remembers distinctly how in the forties their mother would pick her up from school, dressed in the most beautiful suits and wearing elegant hats. These people have passed their fashion consciousness and sense of style on to Cara, for as far as she did not have enough of her own. I do not know anybody who lives like her, nobody who dresses the way she does, nobody who can, without the least bit of effort, pick out the most beautiful stuff from a pile of second-hand rubbish, that I in the first instance would have turned away from. 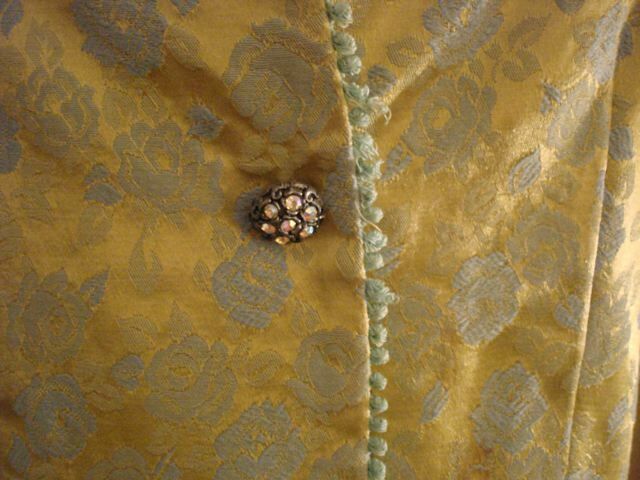 Nobody also who can get so fiercely enthusiastic about the lining or the seams of a coat. Cara’s apartment is situated in the heart of Paris’ Montmartre, a neighborhood that, after the movie Amélie was shot here, is nowadays totally in vogue. Her street is crawling with textile sellers, who have swallowed up almost the whole sidewalk with their merchandise. To get to her silver-colored front door, you have to cross a little courtyard and up three flights of dark, steep stairs. With every floor the little windows offer a better view on the Sacré-Coeur, which stands shining upon a hill. After you have climbed the last flight of stairs in her apartment, you suddenly seem to find yourself in another world. Here, practical benefit and beauty have intertwined in a way you rarely see. Cara’s classical artistic living space, with black and white as the main ingredients, may not be teeny-weeny, it also does not give her all the elbow-room in the world. Apart from that, she collects a lot of stuff, actually everything that measures up to her beauty standards. Books about photography and fashion, all kinds of Asian, antique pens, jewelry, watches – and of course vintage clothing, which includes amongst others approximately twenty jackets from the forties, shoes, and a big number of antique Japanese and Chinese kimonos. All of this may be struggling for attention, never does Cara’s apartment look tediously crowded or stuffed. On the contrary – it is always really quiet and neat. Everything has its own place, everything is tenderly cared for, the lack of space is elegantly masked. 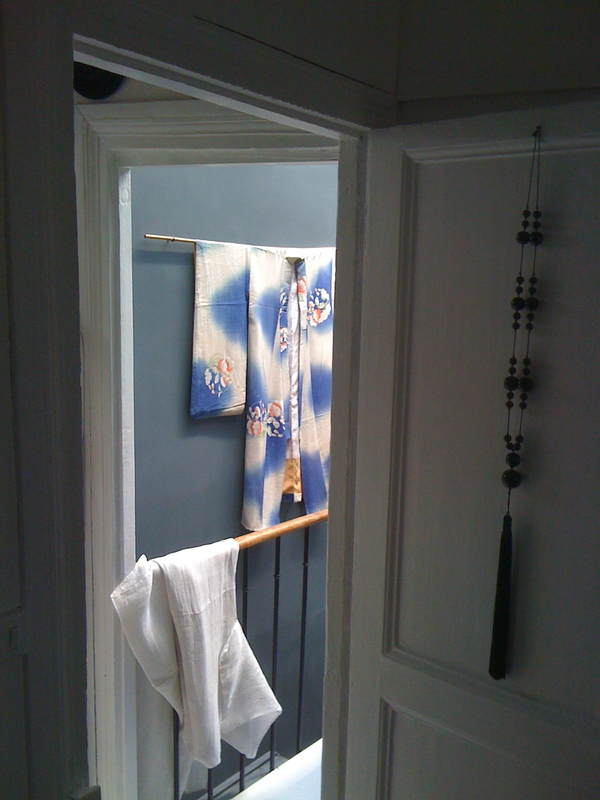 One of Cara’s Japanese kimonos. Here we are, on a warm Saturday in June, the longest day of the year, to be precise, when all of Paris is out on the streets dancing till dawn to the tunes of whatever kind of music. We have spend the day visiting a fashion exhibition, making a tour along a few of the vintage clothing shops, which Cara visits regularly, and where she knows the owners. In one of those crowded little stores I have, lo and behold, bought a beautiful sixties winter coat, that would have still hung there today if it had not been for Cara, who with her sharp eye picked it from a stuffed rack. She herself has dug up a medium long, dark red jacket from Dolce & Gabbana, plus two bags, one of them exhibiting a baby crocodile. We have struggled through crowds of half-naked gay guys in Le Marais, we ate falafel, and right now we are sitting at her glass dinner table, drinking wine, while patches of music drift inside through the open window. Hence, she did not buy the red jacket from Dolce & Gabbana today because it is a Dolce & Gabbana, but because she immediately fell for its fabric and the sleeves, that are a little longer than with most other jackets. And with everything she sees, she asks herself: ‘Is it better than what I already have?’ If not, she just leaves it on the rack. A lot of her stories I have heard before, because Cara, working as a copywriter and a writer, loves to talk about her ‘children’, as she lovingly calls her clothes. But I can’t hear them enough. 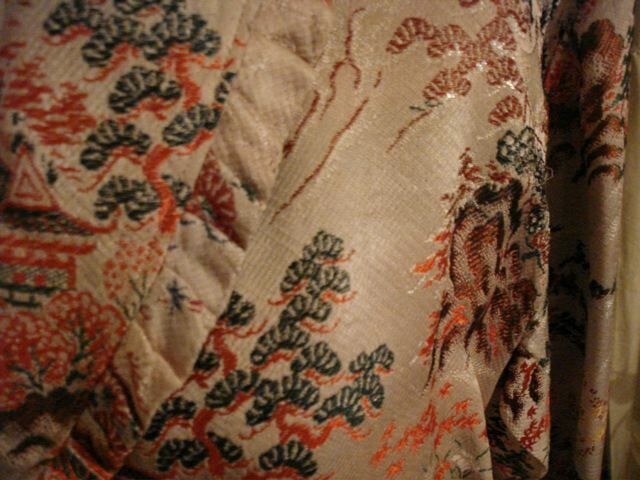 She tells about her very first purchase, a black Japanese, nineteenth-century kimono with white embroidery on the front, the back and the sleeves. She found it in the early seventies in New York, where she was still living at the time. The thing was originally longer, but the unembroidered black silk at the bottom was disintegrated, so she cut it into a jacket. She tells about how her heart started pounding when she was at an antique market, also in New York, and found a red woolen ice skating coat from the late forties, early fifties. How she, only a few years ago, somewhere in Florida stepped into a thrift shop, instinctively dug behind a barricade and discovered, under a pile of stuff, a fabulous, right-angled handbag, an extremely fine sample with a black enamel top. ‘A handbag from 1953!’ she calls out. And in answer to the question how she can be so sure, she triumphantly shows an image that she found in a book on rare vintage handbags. Darn, there it is: the Gina Bag, made between 1953 and 1955. Cara paid for dollars for it at the time. To look fabulous, she says, you really don’t need a lot of money. That’s how Cara finds the most remarkable things. But what happens after that is at least as remarkable. I would almost say: then it happens. It is something I love, something I am, after years of careful studying, starting to grasp: the Big Magic Trick with the Clothes Closet. The bed in Cara’s bedroom offers the best view. Look at how the white curtains swing open as for a show. Behind them we see, in two rows above and behind each other, and double, triple on the hangers, the clothes. The shoes, in plastic hang bags and boxes. The kimonos, in drawers, wrapped in blotting-paper. The jewelry, in little boxes and fabric sacks. The bags, that dominate the space high above. Regarding the newest accession, say a chic forties jacket, as a base, Cara accurately pulls out one combination after another. A simple black, long-sleeved T-shirt, black tight pants from Zara, ankle boots, original Hobé earrings – everything is effortlessly mixed and matched. She performs magic with shawls that she found at a flea market, with little vests from the fifties onto which she sewed new buttons, with casual beaded necklaces that she upgraded with expensive-looking accessories from a haberdashery store. She tightly ties her hair back, pins it down with glistening hair sticks that used to belong to her grandma Rose, pulls up a face as if she were the queen of Sheba – and she succeeds in looking not like a walking dress-up box, but instead as a proud, somewhat eccentric, woman of the world. That’s Cara, and I think it’s wonderful. Her way of dressing, styling and furnishing, of inventively and lovingly coming up with inexpensive solutions without them looking cheap, fits this time, even though she has been living like this for the most part of her life. It lends her an unequalled authenticity, which is, in the end, exactly what she wants. 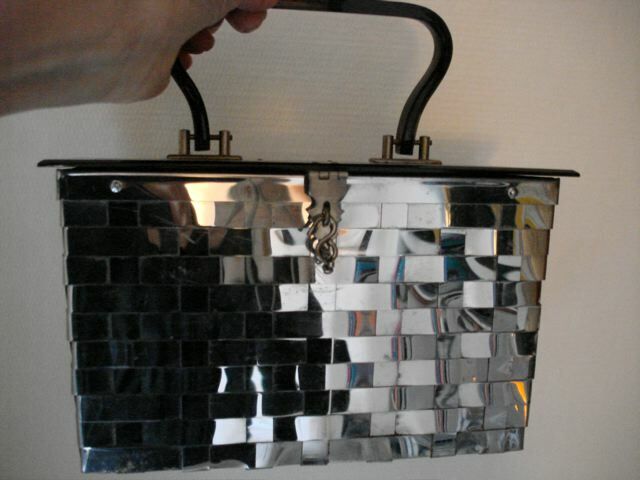 Dit bericht was getagd cara hetson, galeries lafayette montparnasse, gina bag, the perfect eye, vintage clothing. Markeer de permalink als favoriet.